Tag Archives: "niviuk doberman 16"
Good things come to those who wait… that old adage that we all hate but know is generally true. We are having trouble sitting still as we wait for our chance to fly the Doberman and Kougar2 paramotor wings! Word on the street from the higher ups in Spain is that these new wings will be shipping at any time now. 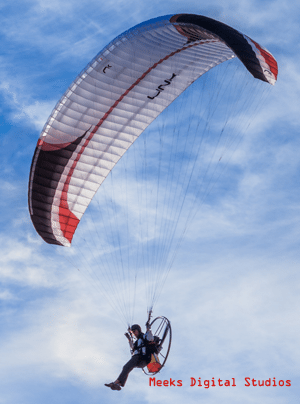 Back to the matter at hand, please watch and enjoy this video clip of 16 year old Nicolas Aubert enjoying the skies on his Doberman 16. What an awesome pilot!